At rest, you won’t spot two of our favourite features of the McLaren Speedtail – the ailerons and the rear-view camera system. There are many, many special things about the McLaren Speedtail. Like its 403km/h top speed. Or the fact it can get to 75 per cent of that maximum velocity, from a standstill, in a frankly farcical 12.8 seconds. Or that it takes its cues from the McLaren F1 of 1993, using three seats in its teardrop-shaped cabin. Or the fact that each of the 106 to be built will cost about €2,850,000… and all of them are, unsurprisingly, already accounted for. But two things, both on the exterior of the Macca, deserve a little closer scrutiny. The first are the ailerons on the back of the car. To keep the gorgeous, fluid bodywork of the Speedtail free from unsightly addenda, it needed some active, yet discreet aero. Now, that whole rear-end of the McLaren is made from carbon fibre (in fact, pretty much all of the car is, if you factor in the adapted Monocage II tub and all the main panels), which means you might think it’s not going to be able to flex much. 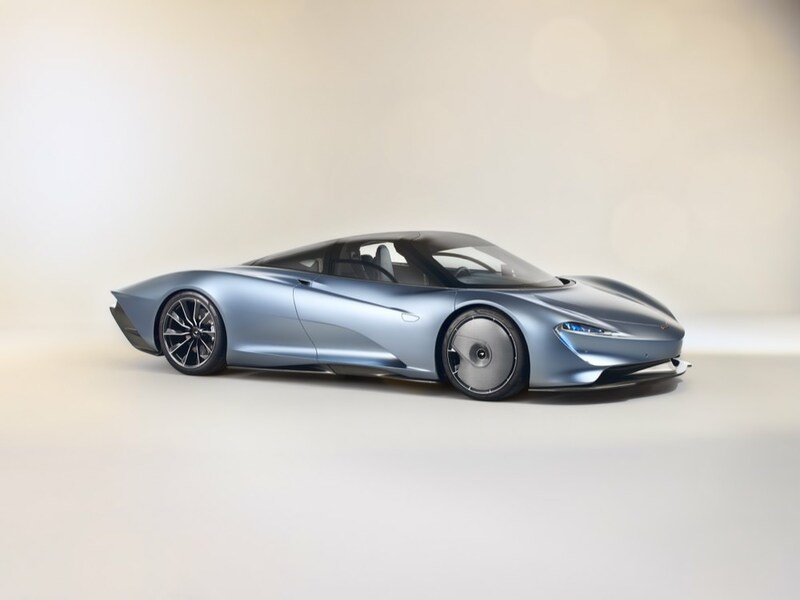 However, throughout the whole of the Speedtail, McLaren is employing advanced uses of carbon fibre, such as Thin-Ply Technology (TPT) and titanium-deposition carbon. These allow for a one-to-one weave in certain areas of the vehicle, meaning owners can have graphics, logos, images and words woven into their carbon in, for instance, gold, making the car 100 per cent personal to them – you could have, if you so wanted, an image of your face woven into the Speedtail’s undertray. But these pioneering carbon techniques aren’t just for chintzy bespoke detailing; they also allow for the ailerons. An aileron, which translated means ‘little wing’, will be familiar to you if you’re an aviation geek. McLaren said it took its inspiration from NASA, mind, but you can see ailerons on your average Airbus A319 holiday jet. They’re flaps at the trailing edge of the wings, which allow for control of the aircraft’s roll, or banking. 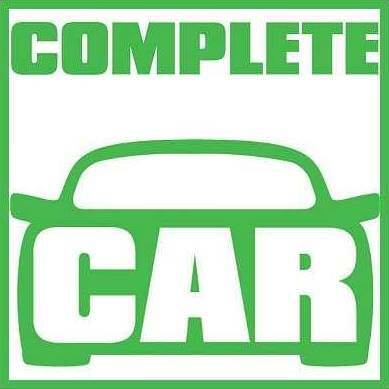 However, we’ve never seen them on a car before – until now. Ingeniously, the Speedtail’s ailerons allow the carbon fibre on top of them to flex upwards into the air stream, depending on the speed of the car. This creates downforce on the rear axle, a clever electronic control system onboard the McLaren working out just how much of the ailerons’ downforce is needed and adjusting them accordingly. In order to keep the sharp, tapering tail looking classy, the side ‘cuts’ to create the ailerons will be just 1.5mm wide, allowing the car a clean, unfussy look when it’s parked. No surprise that McLaren has a patent pending on these things. Something else which folds out of the car from a hidden location are the rear-view mirrors. And that’s technically not even accurate, because they’re not mirrors – they’re cameras. Secreted in two little ovoid panels on the butterfly-hinged doors, the cameras fold out when needed and project the rear view around the car onto two screens at the bases of the A-pillars inside the cabin. This system, using visual equipment rather than mere reflective glass, has been seen on many a motorshow concept car, but this is the first time it’s going into production (to our knowledge). And, of course, there’s a sound engineering reason as to why McLaren didn’t simply go with door mirrors – they would have introduced additional aerodynamic drag and weight. So there you go, flaps and cameras – just two of the mesmerising things fitted to what is one of the most mesmerising cars of the 21st century. And we thought we’d point them out now, because if you’re ever lucky enough to be driving the Speedtail at great pace, it’s unlikely you’ll be able to appreciate just how it is showing you a 180-degree field of view behind the car through two monitors, nor how the rear axle is staying glued to the ground, courtesy of two little bits of moving carbon fibre, which took their inspiration from NASA.